The private home exposes artwork to an even greater degree of temperature fluctuation and microclimatic variability than galleries and museums. No wonder, as the purpose of the domestic setting is not primarily the display of art and maintaining a microclimate appropriate to art objects. So what can be done to protect an artwork in the home? How to achieve the best microclimatic conditions for preserving a private collection? 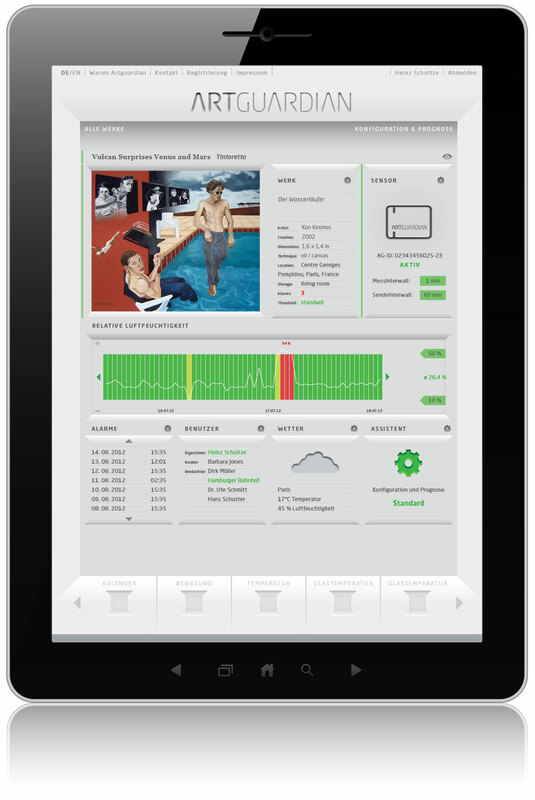 ArtGuardian, a continuous microclimate monitoring system, is the perfect solution. Once the ArtGuardian sensor has been attached to the artwork, the ArtGuardian system monitors all relevant parameters – around the clock, anywhere in the world. Working in close cooperation with experienced conservators, we help you optimize the preventive conservation of your artwork. An built-in alarm system dispatches an alert if any set microclimatic parameters are exceeded. 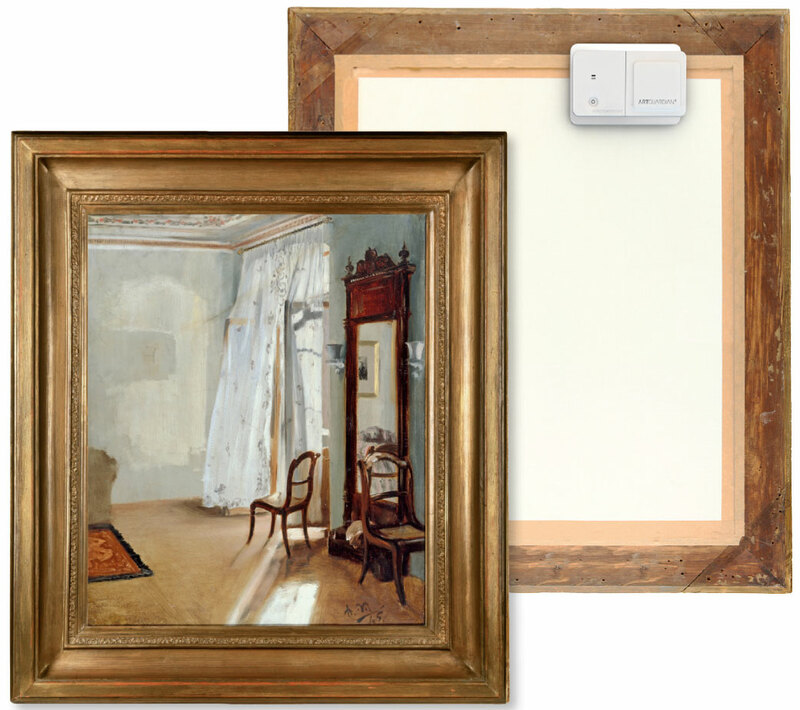 The user-friendly ArtGuardian monitoring system is particularly suited to private collections. ArtGuardian protects your artwork against hazards and deterioration and makes an important contribution to maintaining our shared cultural world heritage.